The US government has given “an almost apologetic pass” to Hilary Clinton for mishandling classified information on her private email server, Jeffrey Sterling, a CIA leaker serving time for allegedly sharing confidential data, told the Washington Post. Sterling was referring to Clinton’s use of a “homebrew” email server during her stint as Secretary of State. At least several dozen emails handled by that system contained top-secret information, which entails a higher level of secrecy than just confidential communications. The candidate for the Democratic Party’s presidential nomination has submitted about 55,000 emails so far, the most recent of which were released on February 19. 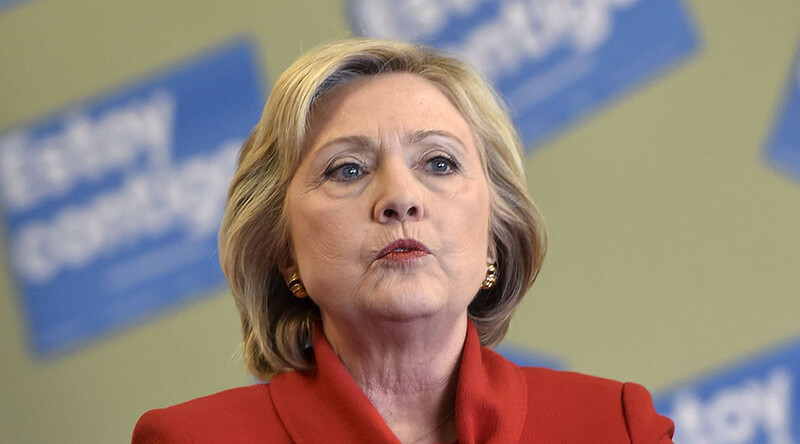 Clinton has faced heavy criticism since the existence of the private email set-up first surfaced in March of 2015 – but no prosecution as of yet. Sterling also recalled the case of retired four-star General David Petraeus, who avoided any serious punishment for disclosing classified data to his mistress and biographer. Petraeus was sentenced to two years’ probation and had to pay a $100,000 fine. Sterling, a former CIA agent, believes he is being treated unfairly, when compared to high-profile officials accused of similar crimes. He is serving a three-and-a half year jail term after being convicted on espionage charges that he denies. According to the prosecution, Sterling leaked classified details to New York Times reporter James Risen concerning Operation Merlin, a CIA op aimed at sabotaging Iran’s nuclear program. Risen wrote about the clandestine operation in his book State of War in 2006, but also denies any involvement in the case. However, the prosecution has asserted that, despite superficial resemblances between the cases of Clinton and Petraeus and Sterling’s, the latter case is different, because it was intended as payback directed against another CIA employer. Speaking at a trial in January of 2015, Assistant US Attorney James Trump said that Sterling was “was angry, he was seeking revenge” against a man who fired him months after the whistleblower had sued the CIA over racial discrimination in 2001. Sterling has denied providing any classified information to Risen or serving as a source for his book. Petitions sponsored by Change.org and RootsAction.org have garnered over 150,000 signatures combined, but neither website has reached its goal yet.